Popp, A., W.G. Cope, M.A. McGregor, T.J. Kwak, T. Augspurger, F.J. Levine, and L. Koch. 2018. A comparison of the chemical sensitivities between in vitro and in vivo propagated juvenile freshwater mussels: implications for standard toxicity testing. Environmental Toxicology and Chemistry 37: 3077-3085. DOI: 10.1002/etc.4270. Guiti Prado S., J. A. Collazo, R. E. Irwin. 2018. Felton, S.K., K.H. Pollock, and T.R. Simons. 2018. Response of beach-nesting American Oystercatchers to off-road vehicles: an experimental approach reveals physiological nuances and decreased nest attendance. Laber, E. B., N. J. Meyer, B. J. Reich, K. Pacifici, J. A. Collazo, and J. Drake. 2018. On-line estimation of an optimal treatment allocation strategy for the control of white-nose syndrome in bats. The Royal Statistical Society Series C. Appl. Statist. :67, Part 4, pp. 743–789. Engman, A.C., T.J. Kwak, and J.R. Fischer. 2017. Recruitment phenology and pelagic larval duration in Caribbean amphidromous fishes. Freshwater Science 36: 851-865. Ivasauskas, T.J., W.N. Xiong, A.C. Engman, J.R. Fischer, T.J. Kwak, and K.R. Rundle. 2017. Relationships among catch, angler satisfaction, and fish assemblage characteristics of an urban small impoundment fishery. Journal of the Southeastern Association of Fish and Wildlife Agencies 4: 31-38. Prado, S. G., H. T. Ngo, J. A. Florez, and J. A. Collazo. 2017. Sampling bees in tropical forests and agroecosystems: A review. J. of Insect Conservation DOI 10.1007/s10841-017-0018-8. Pandolfo, T.J., T.J. Kwak, W.G. Cope, R.J. Heise, R.B. Nichols, and K. Pacifici. 2017. Declining occurrence and low colonization probability in freshwater mussel assemblages: a dynamic occurrence modeling approach. Freshwater Mollusk Biology and Conservation 20: 13-19. Terando, A. J., J. A. Collazo, R. Boyles, J. Bowen, V. Misra, L. Stefanova, and W. Gould. 2017. Developing multi-model ensemble projections of ecologically relevant climate variables for Puerto Rico and the US Caribbean. Extended Abstract. IP-82236, Approved 13 March 2017. Terando, A.J., B. Reich, K. Pacifici, J. Costanza, A. McKerrow, and J. Collazo. 2017. Uncertainty quantification and propagation for projections of extremes in monthly area burned under climate change: A case study in the coastal plain of Georgia, USA. Natural Hazard Uncertainty Assessment: Modeling and Decision Support, Geophysical Monograph 223, First Edition. Edited by Karin Riley, Peter Webley, and Matthew Thompson. © 2017 American Geophysical Union. Published 2017 by John Wiley & Sons, Inc. ISBN: 978-1-119-02786-7. Pandolfo, T.J., T.J. Kwak, and W.G. Cope. 2016. Microhabitat suitability and niche breadth of common and imperiled Atlantic Slope freshwater mussels. Freshwater Mollusk Biology and Conservation 19: 27-50. Kwak, T.J., A.C. Engman, J.R. Fischer, and C.G. Lilyestrom. 2016. Drivers of Caribbean freshwater ecosystems and fisheries. Pages 219-232 in W.W. Taylor, D.M. Bartley, C.I. Goddard, N.J. Leonard, and R. Welcomme, editors. Freshwater, fish and the future: proceedings of the global cross-sectoral conference. Food and Agriculture Organization of the United Nations, Rome; Michigan State University, East Lansing; and American Fisheries Society, Bethesda, Maryland. TROPICAL ISLAND SYSTEM: PROPAGATION OF UNCERTAINTY FROM STATISTICALLY DOWNSCALED CLIMATE MODELS TO HYDROLOGIC MODELS. International Journal of Climatology 2015:1-36. doi:10.1002/joc.4560. Drew, C.A., T.J. Kwak, W.G. Cope, and T. Augspurger. 2015. Hierarchical landscape models for endemic unionid mussels: building strategic habitat conservation tools for mussel recovery in the South Atlantic Landscape Conservation Cooperative. Final Report Submitted to U.S. 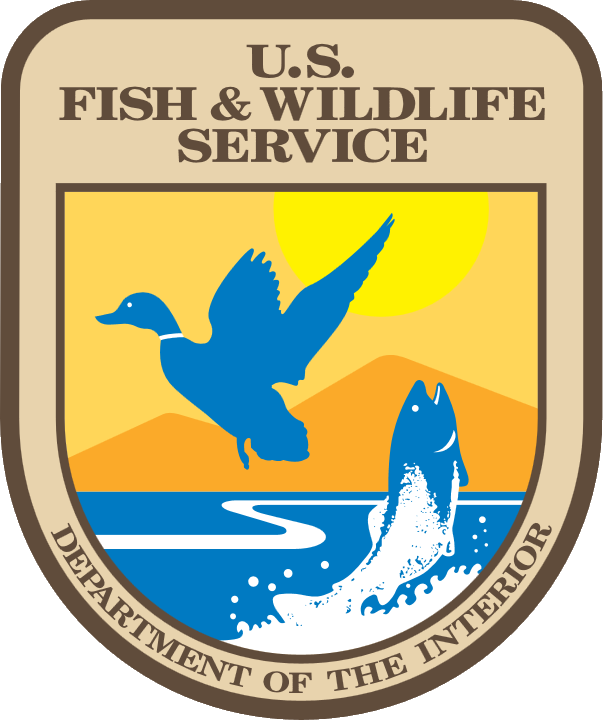 Fish and Wildlife Service, South Atlantic Landscape Conservation Cooperative, Raleigh, North Carolina. Costanza, J. K, R. C. Abt, A. J. McKerrow and J. A. Collazo. Linking state-and-transition simulation and timber supply models for forest biomass production scenarios. AIMS Environmental Science 2:180-202. DOI: 10.3934/environsci.2015.2.180. Drew, C. A., J. Stocking, and J. A. Collazo. Strategic Decision Planning for Endangered Species Recovery in Puerto Rico. North Carolina Cooperative Extension Service Technical Bulletin. SCHULTE, S.A. and T.R. SIMONS. 2015. Factors affecting the reproductive success of American Oystercatchers (Haematopus palliatus) on the Outer Banks of North Carolina. Marine Ornithology. DOI Not Available. Drew, C. A. and J. A. Collazo. 2014. Bayesian networks as a framework to step-down and support Strategic Habitat Conservation of data-poor species: A case study with King Rail (Rallus elegans) in Eastern North Carolina and Southeastern Virginia. NCARS Technical Bulletin. C. A. Drew. 2014. Strategic Conservation Planning for the Eastern North Carolina/Southeastern Virginia Strategic Habitat Conservation Team. NCARS Technical Bulletin 337, North Carolina State University. Borneman, T.E., E.T. Rose, and T.R. Simons. 2014. MINIMAL CHANGES IN HEART RATE OF INCUBATING AMERICAN OYSTERCATCHERS (HAEMATOPUS PALLIATUS) IN RESPONSE TO HUMAN ACTIVITY. The Condor 116: 493-503. White, Thomas H., Jr., Jaime A. Collazo, Stephen J. Dinsmore, and Ivan Llerandi-Roman. 2014. Niche restriction and conservatism in a neotropical psittacine: the case of the Puerto Rican parrot. In Habitat Loss: Causes, Impacts on Biodiversity and Reduction Strategies. NovaSciencePublishers, Inc., Hauppauge NY. Van Beusekom, A. E., L. E. Hay, R. J. Viger, W. A. Gould, J. A. Collazo, and A. Henareh Khalyani. 2014. Modeling Surface Runoff in Puerto Rico with Dynamic Land Cover. Hines, J. E., J. D. Nichos, and J. A. Collazo. 2014. In Press. MULTISEASON OCCUPANCY MODELS FOR CORRELATED REPLICATE SURVEYS. Methods in Ecology and Evolution. Smith, W.E. and T.J. Kwak. 2014. Otolith microchemistry of tropical diadromous fishes: spatial and migratory dynamics. Journal of Fish Biology 84: 913-928. Smith, W.E. and T.J. Kwak. 2014. A capture-recapture model of amphidromous fish dispersal. Journal of Fish Biology 84: 897-912. Pacifici, K., E. F. Zipkin, J. A. Collazo, J. I. Irizarry, and A. DeWan. 2014. Guidelines for a priori grouping of species in hierarchical community models. Submitted to Ecology and Evolution. Fisk, J.M. II, T.J. Kwak, and R.J. Heise. 2014. Modelling riverine habitat for robust redhorse: assessment for reintroduction of an imperilled species. Fisheries Management and Ecology 21: 57-67. Keller, R.A, D. B. Buchwalter, L. Xie, K. E. Franzreb, and T. R. Simons. 2014. Mercury bioaccumulation in southern Appalachian avifauna. Ecotoxicology 23: 304-316. Garner, A.B., T.J. Kwak, K.L. Manuel, and D.H. Barwick. 2014. High-density grass carp stocking effects on a reservoir invasive plant and water quality. Journal of Aquatic Plant Management 51: 27-33. Heise, R.J., W.G. Cope, T.J. Kwak, and C.B. Eads. 2013. Short-term effects of small dam removal on a freshwater mussel assemblage. Walkerana: Journal of the Freshwater Mollusk Conservation Society 16: 41-52. Kwak, T.J. W.G. Cope, J.D. Bales, T.J. Newton, J.A. Daraio, T.J. Pandolfo, J.M. Archambault, A.M. Ganser, R.J. Heise, and B.N. Karns. 2013. Modeling the response of imperiled freshwater mussels to anthropogenically induced changes in water temperature, habitat, and flow in streams of the southeastern and central United States. Final Report to U.S. Geological Survey, National Climate Change and Wildlife Science Center, Reston, Virginia. in Fire Managed Coastal Marshes in North Carolina and Virginia. Waterbirds 36:179-188. Becker, S., C. Moorman, C. DePerno, and T. Simons. 2013. Quantifiable long-term monitoring on parks and nature reserves. Southeastern Naturalist 12: 1-13. R. Sollman, B. Gardner. A.W. Parsons, J.J. Stocking, B.T. McClintock, T.R. Simons, K.H. Pollock, and A.F. O'Connell. 2013. A spatial mark-resight model augmented with telemetry data. Ecology 94: 553-559. Obernuefemann, Kelsey P., J. A. Collazo, and J. E. Lyons. 2013. Local Movements and Wetland Connectivity at a Migratory Stopover of Semipalmated Sandpipers in Southeastern United States. Waterbirds 36:63-76. Collazo, J. A., P. F. Fackler, K. Pacifici, T. H. White, and I. Llerandi-Roman. 2013. Optimal allocation of captive-reared Puerto Rican Parrots: decisions when divergent dynamics characterize managed populations. The Journal of Wildlife Management 77:1124-1134. Fisk, J.M. II, T.J. Kwak, R.J. Heise, and F.W. Sessions. 2013. Redd dewatering effects on hatching and larval survival of the robust redhorse. River Research and Applications 29: 574-581. Cooney, P.B. and T.J. Kwak. 2013. Spatial extent and dynamics of dam impacts on tropical island freshwater fish assemblages. BioScience 63: 176-190. Kwak, T.J., W.E. Smith, E.N. Buttermore, P.B. Cooney, and W.G. Cope. 2013. Fishery population and habitat assessment in Puerto Rico streams: phase 2 final report. Federal Aid in Sport Fish Restoration Project F-50 Final Report, Submitted to Marine Resources Division, Puerto Rico Department of Natural and Environmental Resources, San Juan. Matechou, E., B.J.T. Morgan, S. Pledger, J.A. Collazo, and J. E. Lyons. 2013. Integrated Analysis of Capture-Recapture-Resighting Data and Counts of Unmarked Birds at Stop-over Sites. J. Agricultural, Biological, and Environmental Statistics 18:120-135. Parsons, A.W., T.R. Simons, A.F. O'Connell, and M.K. Stoskopf. 2013. Demographics, diet, movements, and survival of an isolated, unmanaged raccoon Procyon lotor (Procyonidea, Carnivora) population on the Outer Banks of North Carolina. Mammalia 77:21-30. Habitat Relationships. Avian Conservation and Ecology 7 (2): 5. (13 pages). http://dx.doi. Borkhataria, R. R, P. C. Frederick, R. A. Keller, and J. A. Collazo. 2012. Temporal variation in local wetland hydrology influences postdispersal survival of juvenile wood storks (Mycteria Americana). Auk 129:1-12. Costanza, J. K., J. Hulcr, T. Earnhardt, F. Kochc, A. J. McKerrow, R. R. Dunn, and J. A. Collazo. 2012. Simulating the Effects of the Southern Pine Beetle on Regional Dynamics 60 Years into the Future. Ecological Modelling 244:93-103. Miller, D.A.W., L.A. Weir, B.T. McClintock, E.H. Grant, L.L. Bailey, and T.R. Simons. 2012. Experimental investigation of false positive errors in auditory species occurrence surveys. Ecological Applications 22: (preprint). Simmerman, S., J. Wang, J. Osborne, K. Shook, J. Huang, W. Godsoe and T. Simons. 2012. Exploring Similarities Among Many Species Distributions. Extreme Science and Engineering Discovery Environment 12: (preprint). Borkhataria, R. R., J. A. Collazo, and M. J. Groom. Species abundance and potential biological control services in shade vs. sun coffee in Puerto Rico. Agriculture, Ecosystems & Environment 151:1-5. Veran, S., K. J. Kleiner, R. Choquet, J. A. Collazo, and J. D. Nichols. 2012. Modeling habitat dynamics accounting for possible misclassification. Landscape Ecology 27:943-956. Mosher, S, W.G. Cope, F.X. Weber, D. Shea, and T.J. Kwak. 2012. Effects of lead on Na+,K+-ATPase and hemolymph ion concentrations in the freshwater mussel Elliptio complanata. Environmental Toxicology 27: 268-276. Kwak, T.J. 2012. Fisheries indicators, freshwater. Pages 130-135 in D. Fogel, S. Fredericks, L. Harrington, and I. Spellerberg, editors. Measurements, indicators, and research methods for sustainability. Encyclopedia of sustainability, volume 6. Berkshire Publishing, Great Barrington, Massachusetts. Pandolfo, T.J., T.J. Kwak, and W.G. Cope. 2012. Thermal tolerances of freshwater mussels and their host fishes: species interactions in a changing climate. Walkerana: the Journal of the Freshwater Mollusk Conservation Society 15: 69-82. Mosher, S., W.G. Cope, F.X. Weber, T.J. Kwak, and D. Shea. 2012. Assessing accumulation and sublethal effects of lead in a unionid mussel. Walkerana: the Journal of the Freshwater Mollusk Conservation Society 15: 60-68. Borkhataria, R., J. A.Collazo, M. J.Groom, A. Jordan-Garcia. 2011. Shade-grown coffee in PuertoRico: Opportunities to preserve biodiversity while reinvigorating a struggling agricultural commodity. Agric. Ecosyst. Environ., doi:10.1016/j.agee.2010.12.023. Drew, C. A. and J. A. Collazo. 2011. Expert knowledge as a foundation for management of secretive species and their habitat (Chapter 5). Perera A.H., Drew C.A., and Johnson C,J. (eds), Expert Knowledge and its Application in Landscape Ecology. Springer, New York. Kwak, T.J., M.T. Porath, P.H. Michaletz, and V.H. Travnichek. 2011. Catfish science: status and trends in the 21st century. Pages 755-780 in P.H. Michaletz and V.H. Travnichek, editors. Conservation, ecology, and management of catfish: the second international symposium. American Fisheries Society Symposium 77, Bethesda, Maryland. Baumann, J.R. and T.J. Kwak. 2011. Trophic relations of introduced flathead catfish in an Atlantic river. Transactions of the American Fisheries Society 140: 1120-1134. Quinn, J.W. and T.J. Kwak. 2011. Movement and survival of brown trout and rainbow trout in an Ozark tailwater river. North American Journal of Fisheries Management 31: 299-304. Cope, W.G., F.M. Holliman, T.J. Kwak, N.C. Oakley, P.R. Lazaro, D. Shea, T. Augspurger, J.M. Law, J.P. Henne, and K.M. Ware. 2011. Assessing water quality suitability for shortnose sturgeon in the Roanoke River, North Carolina, USA with an in situ bioassay approach. Journal of Applied Ichthyology 27: 1-12. Kwak, T.J. and M.C. Freeman. 2010. Assessment and management of ecological integrity. Pages 353-394 in W.A. Hubert and M.C. Quist, editors. Inland fisheries management in North America, third edition. American Fisheries Society, Bethesda, Maryland. Cooney, P.B. and T.J. Kwak. 2010. Development of standard weight equations for Caribbean and Gulf of Mexico amphidromous fishes. North American Journal of Fisheries Management 30: 1203-1209. Martin, Julien, A.F. O’Connell Jr., W. L. Kendall, M.C. Runge , T.R. Simons, A.H. Waldstein, S.A. Schulte, S.J. Converse, G.W. Smith, T. Pinion, M. Rikard, E.F. Zipkin. 2010. Optimal control of native predators. Biological Conservation 143: 1751-1758. Stanislav, S., Pollock, K.H., Simons, T. R. and M.W. Alldredge. 2010. Separation of Availability and Perception Processes for Aural Detection in Avian Point Counts: a Combined Multiple Observer and Time-Of-Detection Approach. Avian Ecology and Conservation 5(1): 3. [online] URL: http://www.ace-eco.org/vol5/iss1/art3/ . Lombard, C. D., J. A. Collazo, and Douglas B. McNair. 2010. Nest and chick survival and colony dynamics of Least Terns in the US Virgin Islands. Condor 112:56–64. Sanders, N.J., R.R. Dunn, M.C. Fitzpatrick, C.E. Carlton, M.R. Pogue, C.R. Parker, and T.R. Simons. 2010. Diverse Elevational Diversity Gradients in Great Smoky Mountains National Park, U.S.A. Pp. 75 – 87 in E.M Spehn and C. Korner, Data Mining for Global Trends in Mountain Biodiversity. CRC Press, Boca Raton, Florida. Collazo, J. A., J. F. Gilliam, and L. Miranda-Castro. 2010. Functional Response Models to Estimate Feeding Rates of Wading Birds. Waterbirds 33: 33-40. Midway, S.R., D.D. Aday, T.J. Kwak, and K. Gross. 2010. Cover preference of the Carolina madtom (Noturus furiosus), an imperiled, endemic southeastern stream fish. Journal of Freshwater Ecology 25: 151-154. Midway, S.R., T.J. Kwak, and D.D. Aday. 2010. Habitat suitability of the Carolina madtom, an imperiled, endemic stream fish. Transactions of the American Fisheries Society 139: 325-338. Hewitt, A.H., T.J. Kwak, W.G. Cope, and K.H. Pollock. 2009. Population density and instream habitat suitability of the endangered Cape Fear shiner. Transactions of the American Fisheries Society 138: 1439-1457. Neal, J.W., C.G. Lilyestrom, and T.J. Kwak. 2009. Factors influencing tropical island freshwater resources: species, status, and management implications in Puerto Rico. Fisheries 34(11): 546-554. Stolen, E. D., J. A. Collazo, and H. Franklin Percival. 2009. Vegetation Effects on Fish Distribution in Impounded Salt Marshes. Southeastern Naturalist 8:503-814. Berkson, J., K.M. Hunt, J.C. Whitehead, D.J. Murie, T.J. Kwak, and J. Boreman. 2009. Is there a shortage of fisheries stock assessment scientists? Fisheries 34(5): 217-219. Pledger, S., M. Efford, K. Pollock, J. Collazo and J. Lyons. 2009. Stopover duration analysis with departure probability dependent on unknown time since arrival. Pages 349-364 In Modeling Demographic Processes in Marked Populations, D. L. Thompson, E. G. Cooch, and M. J. Conroy (eds). Environmental and Ecological Statistics Series: Volume 3. Springer, NY. Holliman, F. M., D. Davis, A. E. Bogan, T. J. Kwak, W. G. Cope, and J. F. Levine. 2008. Magnetic resonance imaging of live freshwater mussels (Unionidae). Invertebrate Biology 127: 396-402. Alldredge, M. W., Pacifici, K., T. R. Simons, and K. H. Pollock. 2008. A field evaluation of the effectiveness of distance sampling and double independent observers to estimate detection probability in aural avian point counts. Journal of Applied Ecology 45: 1349-1356. Pacifici, K., T. R. Simons, and K. H. Pollock. 2008. Effects of vegetation and background noise on the detection process in auditory avian point count surveys. The Auk 125:600-607. Webster, R. A., Pollock, K. H., and Simons, T. R. 2008. Bayesian spatial modeling of point transect data from bird surveys. Journal of Agricultural, Biological and Environmental Statistics 13: 121-139. Lyons, J. E., J. A. Collazo and C. G. Guglielmo. 2008. Plasma metabolites and migration physiology of Semipalmated Sandpipers: refueling performance at five latitudes. Oecologia 155:417-427. Podolsky, A. L., T. R. Simons, and J. A. Collazo. 2007. Modeling population growth of the Ovenbird in the southern Appalachians. The Auk 124: 1359-1372. Rice, S. M., J. A. Collazo, B. A. Harrington and A. R. Lewis. 2007. Local Annual Survival and Seasonal Residency Rates of Semipalmated and Western Sandpipers in Puerto Rico. Auk 124:1397-1406. Holliman, F. M., T. J. Kwak, W. G. Cope, and J. F. Levine. 2007. Exposure of unionid mussels to electric current: assessing risks associated with electrofishing. Transactions of the American Fisheries Society 136: 1593-1606. Alldredge, M. W. T. R. Simons, K. H. Pollock, and K. Pacifici. 2007. A Field Evaluation of the time-of-detection method to estimate population size for Aural Avian Point Counts. Avian Ecology and Conservation 2(2):13. Stolen, E. D., J. A. Collazo, and H. F. Percival. 2007. Scale-dependent habitat selection of nesting Great Egrets and Snowy Egrets. Waterbirds 30:384-393. Hayes, D. B., J. R. Bence, T. J. Kwak, and B. E. Thompson. 2007. Abundance, biomass, and production estimation. Pages 327-374 in C. S. Guy and M. L. Brown, editors. Analysis and interpretation of freshwater fisheries data. American Fisheries Society, Bethesda, Maryland. Kwak, T. J., and J. T. Peterson. 2007. Community indices, parameters, and comparisons. Pages in 677-763 in C. S. Guy and M. L. Brown, editors. Analysis and interpretation of freshwater fisheries data. American Fisheries Society, Bethesda, Maryland. Alldredge, M. W., T. R. Simons, and K. H. Pollock. 2007. An experimental evaluation of distance measurement error in avian point count surveys. Journal of Wildlife Management 71: 2759-2766. Alldredge, M. W., K. H. Pollock, T. R. Simons, J. A. Collazo, and S. A. Shriner. 2007. Time of detection method for estimating abundance from point count surveys. The Auk 124(2): 653-664. Alldredge, M. W., T. R. Simons, and K. H. Pollock. 2007. Factors affecting aural detections of songbirds. Ecological Applications 17:948-955. Aukema, J. E, T. A. Carlo, and J. A. Collazo. 2007. Landscape assessment of tree communities in the northern karst region of Puerto Rico. Plant Ecology 189:101-115. Herring, G., and J. A. Collazo. 2007. Lesser Scaup Winter Foraging and Nutrient Reserve acquisition in East-Central Florida. Journal of Wildlife Management 70:1682-1689. Gustafson, L., W. Showers, T. Kwak, J. Levine, and M. Stoskopf. 2007. Temporal and spatial variability in stable isotope compositions of a freshwater mussel: implications for biomonitoring and ecological studies. Oecologia 152: 140-150. Pine, W. E, III, T. J. Kwak, and J. A. Rice. 2007. Modeling management scenarios and the effects of an introduced apex predator on a coastal riverine fish community. Transactions of the American Fisheries Society 136: 105-120. Alldredge, M. W., K. H. Pollock, T. R. Simons, and S. A. Shriner. 2007. Multiple species analysis of point count data: a more parsimonious modeling framework. Journal of Applied Ecology. 44: 281-290. White, T. H., G. G. Brown, and J. A. Collazo. 2006. Artificial cavities and nest-site selection by Puerto Rican Parrots: a multiscale assessment. Avian Conservation and Ecology 1 (3): 5 [online] URL: www://ace-eco. org/voll/iss3/art5/. McGowan, C. P., and T. R. Simons. 2006. Effects of human disturbance on the incubation behavior of American Oystercatchers. Wilson Bulletin 118: 485-493. Allen, J. C., S. M. Krieger, J. R. Walters, and J. A. Collazo. 2006. Associations of breeding birds with fire-influenced and riparian-upland gradients in a longleaf pine ecosystem. Auk 123:1110-1128. Hess, G.R., R.A. Bartel, A.K. Leidner, K.M. Rosenfeld, M.J. Rubino, S.A. Snider, T.R. Ricketts. 2006. Effectiveness of biodiversity indicators varies with extent, grain, and region. Biological Conservation 132(4) 448-457. Kwak, T. J., and F. J. Margraf. 2006. Fisheries employment in Cooperative Research Units: where agency meets academia. Pages 109-121 in D. A. Hewitt, W. E. Pine III, and A. V. Zale, editors. The American Fisheries Society guide to fisheries employment, second edition. American Fisheries Society, Bethesda, Maryland. Rivera-Milan, F. F., J. A. Collazo, C. Stahala, W. J. Moore, A. Davis, G. Herring, R. Pagliaro, J. L. Thompson, and W. Bracey. In Press. Estimation of density and population size and recommendations for monitoring trends of Bahama parrots on Great Abaco and Great Inagua. The Wildlife Society Bulletin 33(3). Hewitt, A. H., W. G. Cope, T. J. Kwak, T. Augspurger, P. R. Lazaro, and D. Shea. 2006. Influence of water quality and associated contaminants on survival and growth of the endangered Cape Fear shiner (Notropis mekistocholas). Environmental Toxicology and Chemistry 25: 2288-2298. Garth, H., and J. A. Collazo. Winter survival of Lesser Scaup in east-central Florida. J. Wildl. Manage. Simons, T. R., S. A. Shriner, and G. L. Farnsworth. 2006. Comparison of breeding bird and vegetation communities in primary and secondary forests of Great Smoky Mountains National Park. Biological Conservation 129: 302-311. Borkhataria, R. R, J. A. Collazo and M. J. Groom. 2006. Additive effects of vertebrate predators on insects in a Puerto Rican coffee plantation. Ecological Applications 16:696-703. Alldredge, M. W., K. H. Pollock, and T. R. Simons. 2006. Estimating detection probabilities from multiple-observer point counts. The Auk 123: 1172-1182. Hess, G.R., F.H. Koch, M.J. Rubino, K.A. Eschelbach, C.A. Drew, J.M. Favreau. 2006. Comparing the potential effectiveness of conservation approaches in central North Carolina, USA. Biological Conservation 128(3) 358-368. Gleffe, J. D., J. A. Collazo, M. J. Groom, and L. Miranda-Castro. 2006. Avian reproduction and the value of shaded coffee plantations. Ornitolog�a Neotropical 17:271-282. Brown J. J., J. Perillo, T. J. Kwak, and R. J. Horwitz. 2005. Implications of Pylodictis olivaris (flathead catfish) introduction into the Delaware and Susquehanna drainages Northeastern Naturalist 12: 473-484. Kwak, T. J., W. E. Pine, III, and D. S. Waters. 2006. Age, growth, and mortality of introduced flathead catfish in Atlantic rivers and a review of other populations. North American Journal of Fisheries Management 26: 73-87. Heltsley, R. M., W. G. Cope, D. Shea, R. B. Bringolf, T. J. Kwak, and E. G. Malindzak. 2005. Assessing organic contaminants in fish: comparison of a non-lethal tissue sampling technique to mobile and stationary passive sampling devices. Environmental Science and Technology 39: 7601-7608. White, T. H., Jr., J. A. Collazo, and F. J. Vilella. 2005. Survival of captive-reared Puerto Rican Parrots released in the Caribbean National Forest. Condor 107:424-432. Farnsworth, G. L., and T. R. Simons. 2005. Relationship between Mayfield nest-survival estimates and seasonal fecundity: A cautionary reply. The Auk 122(3):1000-1001. Bringolf, R. B., T. J. Kwak, W. G. Cope, and M. S. Larimore. 2005. Salinity tolerance of flathead catfish: implications for dispersal of introduced populations. Transactions of the American Fisheries Society 134: 927-936. Gustafson, L. L., M. K. Stoskopf, A. E. Bogan, W. Showers, T. J. Kwak, S. Hanlon, and J. F. Levine. 2005. Evaluation of a nonlethal technique for hemolymph collection in Elliptio complanata, a freshwater bivalve (Mollusca: Unionidae). Diseases of Aquatic Organisms 65: 159-165. Gustafson, L. L., M. K. Stoskopf, W. Showers, G. Cope, C. Eads, R. Linnehan, T. J. Kwak, B. Andersen, and J. F. Levine. 2005. Reference ranges for hemolymph chemistries from Elliptio complanata of North Carolina. Diseases of Aquatic Organisms 65: 167-176. Pine, W. E, III, T. J. Kwak, D. S. Waters, and J. A. Rice. 2005. Diet selectivity of introduced flathead catfish in coastal rivers. Transactions of the American Fisheries Society 134: 901-909. Hyde, E. J., and T. R. Simons. 2005. Monitoring Salamander Populations in Great Smoky Mountains National Park. Chapter 44 In: Status and Conservation of US Amphibians (M. J. Lannoo ed. ). University of Iowa Press. McGowan, C. P., T. R. Simons, W. Golder, and J. Cordes. 2005 A comparison of American Oystercatcher reproductive success on barrier beach and river island habitats in coastal North Carolina. Waterbirds 28(2): 150-155. Pollock, K. H., H. H. Marsh, L. L. Bailey, G. L. Farnsworth, T. R. Simons, and M. W. Alldredge. 2004. Methodology for separating components of detection probability in population abundance estimation: An overview with diverse examples. In: Sampling rare or elusive species: Concepts, designs, and techniques for estimating population parameters. William Thompson (ed. ). Island Press. Collazo, J. A., M. J. Groom, S. M. Haig, T. H. White, and B. D. Muizniecks. 2006. In the eye of the hurricane: efforts to save the Puerto Rican Parrot. Essay 15. 5, Pp. 586-589 of Chapter 15: Restoration of Damaged Ecosystems and Endangered Populations, in M. J. Groom, G. K. Meffe, and C. R. Carroll (editors). Principles of Conservation Biology, 3rd edition, Sinauer Associates, Sunderland, MA. White, T. H., Jr., J. A. Collazo, F. J. Vilella, and S. A. Guerrero. 2005. Effects of hurricane Georges on habitat use by captive-reared Hispaniolan Parrots (Amazona ventralis) released in the Dominican Republic. Ornitolog�a Neotropical 16:405-417. Radwell A. J., and T. J. Kwak. 2005. Assessing ecological integrity of Ozark rivers to determine suitability for protective status. Environmental Management 35: 799-810. Farnsworth, G. L., J. D. Nichols, J. R. Sauer, S. T. Fancy, K. H. Pollock, S. A. Shriner, and T. R. Simons. 2005. Statistical approaches to the analysis of point count data: a little extra information can go a long way. USDA Forest Service, Gen. Tech. Rep. PSW-GTR-191: 736-743. McGowan, C. P., S. A. Schulte, and T. R. Simons. 2005. Resightings of marked American Oystercatchers banded as chicks. Wilson Bulletin 117: 382-385. Moore, F. R., M. S. Woodrey, J. J. Buler, S. Woltmann, and T. R. Simons. 2005. Understanding the stopover of migratory birds: a scale dependent approach. USDA Forest Service, Gen. Tech. Rep. PSW-GTR-191: 684-689. Herring, G., and J. A. Collazo. 2005. Habitat Use, Movements and Home Range of Wintering Lesser Scaup in Florida. Waterbirds 28:71-78. McGowan, C. P., and T. R. Simons. 2005. A method for trapping breeding adult American Oystercatchers. Journal of Field Ornithology 76(1):46-49. Herring, G., and J. A. Collazo. 2005. Winter survival of Lesser Scaup in east-central Florida. J. Wildlife Management 68:1082-1087. Saracco, J. F., J. A. Collazo, M. J. Groom, and T. A. Carlo. 2005. Crop Size and Fruit Neighborhood Effects on Bird Visitation to Fruiting Schefflera morototoni Trees in Puerto Rico. Biotropica 37:81-87. Barwick, R. D., T. J. Kwak, R. L. Noble, and D. H. Barwick. 2004. Fish populations associated with habitat-modified piers and natural woody debris in Piedmont Carolina reservoirs. North American Journal of Fisheries Management 24: 1120-1133. Simons, T. R., F. R. Moore, and S. A. Gauthreaux. 2004. Mist netting trans-Gulf migrants at coastal stopover sites: the influence of spatial and temporal variability on capture data. In: The use of mist nets to monitor bird populations, (C. J. Ralph et al. eds. ). Studies in Avian Biology. Podolsky, A., T. R. Simons, and J. A. Collazo. 2004. A Method of food supplementation for ground-foraging insectivorous birds. Journal of Field Ornithology 75:296-302. Saracco, J. F., J. A. Collazo, and M. J. Groom. 2004. How do frugivores track resources? Insights from spatial analyses of birds foraging in a Puerto Rican forest. Oecologia 139:231-245. Carlo, T. A., J. A. Collazo and M. J. Groom. 2004. Avian Foraging in Shaded Coffee Plantations: Influence of Fruit Abundance, Plant Species Composition, and Conservation Implications. Biotropica 36:602-614. . Waters, D. S., T. J. Kwak, J. B. Arnott, and W. E. Pine III. 2004. Evaluation of stomach tubes and gastric lavage for sampling diets from blue catfish and flathead catfish. North American Journal of Fisheries Management 24: 258-261. Bailey, L. L., T. R. Simons, and K. H. Pollock. 2004. Comparing population size estimators for Plethodon salamanders. Journal of Herpetology 38. Tripp, K. J., and J. A. Collazo. 2003. Density and distribution of water boatmen and brine shrimp at a major shorebird wintering area in Puerto Rico. Wetlands Ecology and Management 11:331-341. Holliman, F. M., J. B. Reynolds, and T. J. Kwak. 2003. A predictive risk model for electroshock- induced mortality of the endangered Cape Fear shiner. North American Journal of Fisheries Management 23: 905-912. Holliman, F. M., J. B. Reynolds, and T. J. Kwak. 2003. Electroshock-induced injury and mortality in the spotfin chub, a threatened minnow. North American Journal of Fisheries Management 23: 962-966. Rubino, M.J., and G.R. Hess. 2003. Planning open spaces for wildlife 2: Mapping and verifying focal species habitat. Landscape and Urban Planning, 64:89-104. Collazo, J. A., T. H. White, Jr., F. J. Vilella and Simon A. Guerrero. 2003. Survival of captive-reared Hispaniolan parrots released in Parque del Este, Dominican Republic. Condor 105:198-207. Carlo, T. A., J. A. Collazo and M. J. Groom. 2003. Avian fruit preference and seed dispersal effectiveness: A view of landscape variation of bird-plant interactions. Oecologia 134:119-131. Quinn, J. W., and T. J. Kwak. 2003. Fish assemblage changes in an Ozark river after impoundment: a long-term perspective. Transactions of the American Fisheries Society 132: 110-119. Collazo, J. A., C. A. Kelly, and D. A. O'harra. Accessible habitat for shorebirds: factors influencing its availability and conservation implications. Waterbirds 25 (Special Publication 2): 13-24. Pender, D. R., and T. J. Kwak. 2002. Factors influencing brown trout reproductive success in Ozark tailwater rivers. Transactions of the American Fisheries Society 131:698-717. Lichstein, J. W., T. R. Simons, and K. E. Franzreb. 2002. Landscape effects on breeding songbird abundance in managed forests. Ecological Applications. 12(3): 836-857. Pearson, S. M., and T. R. Simons. 2002. Spatial analysis of stopover habitats of Neotropical migratory birds. Chapter 52 In: Predicting Species Occurrences: Issues of Scale and Accuracy. Island Press. Shriner, S. A., and T. R. Simons. 2002. Modeling habitat associations of breeding birds in Great Smoky Mountains National Park. Chapter 47 In: Predicting Species Occurrences: Issues of Scale and Accuracy. Island Press. Pollock, K. H., J. D. Nichols, T. R. Simons, G. L. Farnsworth, L. L. Bailey, and J. R. Sauer. 2002. The design of large scale wildlife monitoring studies. Envirometrics 13: 1-15. Collazo, J. A., and G. Bonilla-Martinez. 2001. Population size, survival, and movements of White-cheeked Pintail in eastern Puerto Rico. Caribbean J. Science 37:194-201. Farnsworth, G. L., and T. R. Simons. 2001. How many baskets? Clutch sizes that maximize annual fecundity of multiple-brooded birds. The Auk 118: 973-982. Hyde, E. J., and T. R. Simons. 2001. Sampling Plethodontid salamanders: sources of variability. Journal of Wildlife Management 65(4): 624-632. Davis, M. B., T. R. Simons, M. J. Groom, J. L. Weaver, and J. R. Cordes. 2001. The breeding status of American Oystercatcher on the east coast of North America and breeding success in North Carolina. Waterbirds 24(2): 195-202. Sallabanks, R., J. R. Walters, and J. A. Collazo. 2000. Breeding bird abundance in bottomland hardwood forests: habitat, edge, and patch size effects. Condor 102:748-758. Farnsworth, G. L., K. C. Weeks, and T. R. Simons. 2000. Validating the assumptions of the Mayfield Method. Journal of Field Ornithology 71:658-664. Collazo, J. A., J. E. Saliva, and J. Pierce. 2000. Status of Caribbean Brown Pelicans. Edited by David C. Lee and Elizabeth A. Schreiber. Society of Caribbean Ornithology, Special Pub. No. 1. Pages. 39-45. Quinn, J. W., and T. J. Kwak. 2000. Use of rehabilitated habitat by brown trout and rainbow trout in an Ozark tailwater river. North American Journal of Fisheries Management 20: 737-751. Farnsworth, G. L., and T. R. Simons. 2000. Observation of Wood Thrush nest predators in a large contiguous forest. Wilson Bulletin 112: 82-87. Simons, T. R., G. L. Farnsworth, and S. A. Shriner. 2000. Evaluating Great Smoky Mountains National Park as a population source for the Wood Thrush. Conservation Biology 14:1133-1144. Simons, T. R., S. A. Pearson, and F. R. Moore. 2000. Application of spatial models to the stopover ecology of trans-Gulf migrants. Studies in Avian Biology 20: 4-14. Saracco, J. F., and J. A. Collazo. 1999. Predation on artificial nests along three edge types in a North Carolina bottomland hardwood forest. Wilson Bulletin 111:541-549.